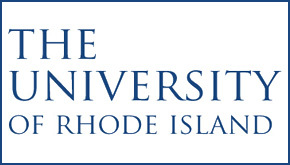 The University of Rhode Island plans to increase its presence in the state’s capital city, according to President David M. Dooley, as part of a strategy to better prepare its students for success as well as help Rhode Island’s economy grow out of the hole it is in. I’ve heard that Roger Williams wants to do more in Providence too, although that clearly doesn’t include the space on Washington Street that is being rented out to a charter high school. I have heard the same about RWU. I heard RWU is interested in expanding its law school downtown. This even though URI has good transit access from every direction. RIPTA’s 64 bus does not qualify as good transit access, four round trips daily from Westerly (to a train station that’s 2 miles away) does not qualify as good transit access, the 1/2 mile, crosswalk-free and sidewalk-free walk from Wickford Junction to the Route 102&2 Park ‘n’ Ride does not qualify as good transit access, and having to ride a bus into Kennedy Plaza from Coventry or West Greenwich does not qualify as good transit access. So, no, URI does not have good transit access from every direction. URI has good transit access from Providence, fair to poor transit access from parts of Kent County, upper South County, and Woonsocket (plus, of course, Kingston Station itself), unacceptably bad transit access from Newport County and Westerly, and no transit access from the rest of the state. Yes, URI isn’t providing adequate incentives to utilize transit – but that’s because there isn’t adequate transit to utilize. Bring South County commuter rail online, reroute RIPTA’s #66 bus into Wickford Junction on a permanent basis, run feeder buses from Coventry/West Greenwich into Wickford Junction or URI, run buses along lower RI-3 and RI-138 into URI, and then we can have the conversation about how regressive and anti-transportation URI is. Ryan, you are right that from some locations (such as Westerly) bus access to URI-Providence is relatively inconvenient, as it may be for anyone choosing to live far from a bus line. But 2000 census data indicated about 77% of RI lived within 1/2 mile of a bus line and for those, access to URI is mostly pretty good, including from the south which includes 28 buses/day each way each weekday on the #66 at very low fares, plus additional service on the #14 and the new commuter rail. Newport County actually has good service to Providence, about 45 buses.day each way on the #60 line. All these lines can be tweaked for better service, which RIPTA is considering as part of their COA (Comprehensive Operations Analysis) for which anyone can post commentas and suggestions by visiting http://www.ripta.com – I hope Ryan will do this. In general, I think if we want to see better bus (or commuter rail) service, I think it is better to talk up where it is already pretty good rather than disparaging it overall. There about 12 colleges in RI with Upass programs including Brown, PC with much less convenient transit access since accessing their campus usually requires a transfer at Kennedy Plaza, yet they have greatly boosted ridership. There is no excuse for URI-Providence (where providng “free” parking is even more expensive) not to join them. Hope not – I was one of the first to comment. I am also in the process of composing a comprehensive system overhaul to be sent to RIPTA, outlining how to leverage the commuter rail we have NOW, and expand our services effectively based around it. URI’s Providence campus has good transit access. There was a miscommunication – I assumed you were referring to URI’s main campus in Kingston, for which all of my complaints remain valid. That would certainly give the school a high-profile presence. Though being one of the most iconic buildings in the state and the tallest, it would probably be the weirdest location for a state university in the country. It would also take prime real estate off the tax rolls.